Pam Arther, a third-year Spirit volunteer and mom, sent in this one. "This was in Louisville, Ky., on June 26. 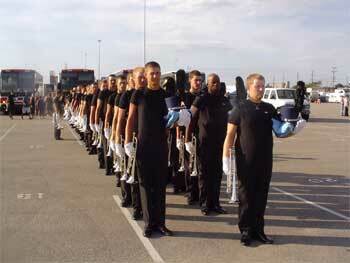 Spirit had just unloaded the buses and was getting in line to go warm up for the show."